I'll be back tomorrow with another Kinda Eclectic creation, so I hope you'll join me then. 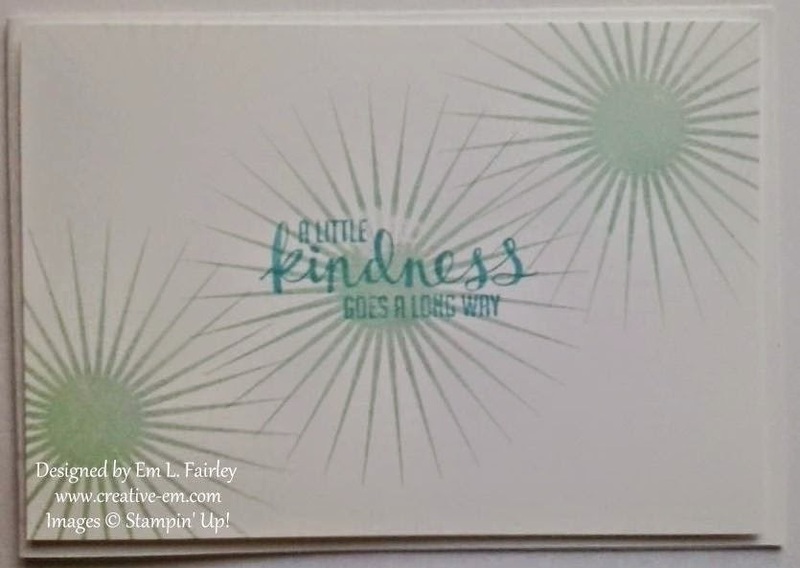 Labels: CAS, Kinda Eclectic, Stampin' Up! Pretty card...and that sentiment is so true! Em, the simplistic beauty of this card is fantastic! I love the colors and stamps you used. Thank you for joining us in the Through The Craft Room Door challenge this week. What a great CAS design. Thank you for joining our Challenge last week at Word Art Wednesday. The current challenge is midway and hope you join us again. Leaving you with God's Word to ponder on from Romans 15:4 and it says, "For everything that was written in the past was written to teach us, so that through endurance and the encouragement of the Scriptures we might have hope." God bless always!